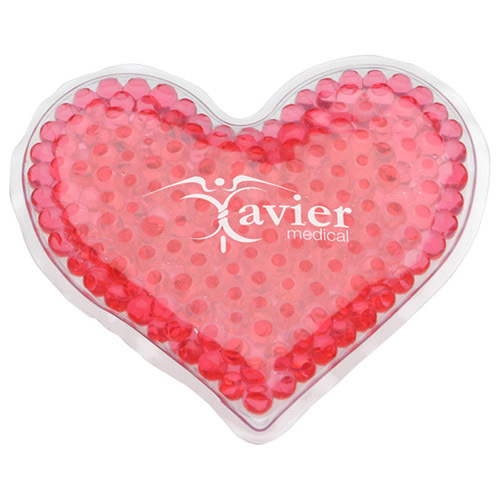 Aqua bead gel therapy pack.Plastic duck-shaped gel-filled pack with non-toxic beads that stay hot or cold. Store in refrigerator or freezer for cold therapy. Soak in hot water for 5 minutes for hot use. Complete care and use instructions packaged with item. Polybagged / 30 lbs / 250 pcs. / 14x14x9box. Imprint Area: 1.625" x 0.75"